Looking for tile and grout repair? Don’t let ugly grout cause chaos in your life. If you suspect cracks in your grout lines, call the experts at Miraculous Makeovers. We can assist you with bathroom ceramic tile regrouting in Tri-Cities, TN. Call us at (423) 612-4174. Click here to access our online specials page. With water seeping through tile grout it can become a serious issue. Catching problems early can prevent problems from becoming worse, and more inconvenient and costly. The first indication that you need bathroom ceramic tile regrouting is if your grout is missing in areas. When this occurs, it usually means that your grout lines are collecting water and something is causing that problem. Interested in seeing what others in your area are saying about our bathroom ceramic tile regrouting service? Visit our bathtub refinishing reviews page to find out why we’re the number one choice for your tile regrouting service in Tri-Cities, TN and the surrounding areas. Can You Put New Grout Over Old Grout? It is possible to apply new grout over existing grout, the results are ordinarily not as much as appealing, Since the layer of new grout would be thin and move in thickness, it may not bond well and the old grout could show up through the new grout making it unsuitable. The specialists at Miraculous Makeovers will take the time and opportunity repairing grout between tiles and evacuate any harmed grout lines utilizing a hyde 19500 regrout tool 3-speed electric grout remover, ensuring to remove all grout that may in the long run cause you issues, supplant it with new grout and seal it in with our best quality products. Dirty grout that is an eyesore. Mildew growth in and out of the tile surface. leaks occur because the tile and grout are no longer doing their job of repelling water. Both your tile and grout lines need to be inspected by a professional at least once per year. Regular cleanings will help to reduce the likelihood of mildew growth or structural water damage. 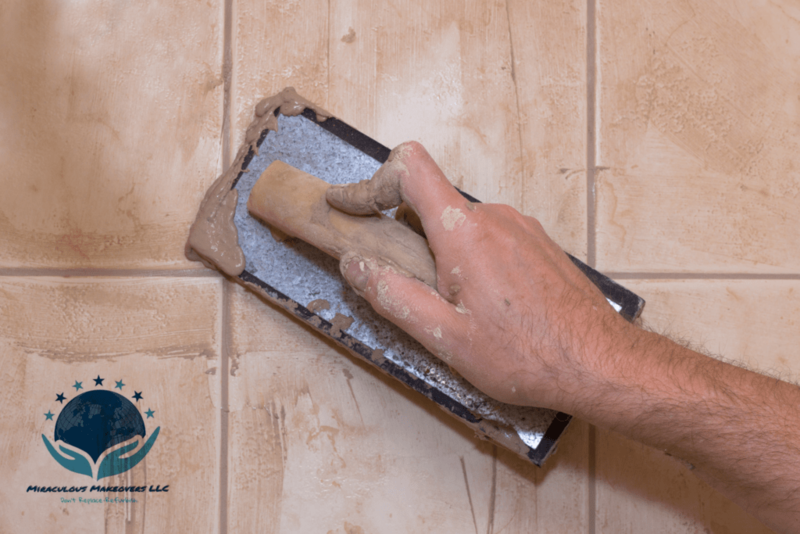 When you contact Miraculous Makeovers for bathroom ceramic tile regrouting service, our experts know the best way to regrout tiles to resolve any tile or grout issues you may have. Will Grout Recoloring and Sealing Stain My Tile? showers, walls and floors to give your dirty grout a fresh updated look providing years of durability and beauty. We have many colors accessible please call us today to get your grout repaired or a new shading outline. Our experts are ready to handle all of your bathroom ceramic tile grout issues. For bathroom ceramic tile regrouting, give Miraculous Makeovers a call today at (423) 612-4174 .